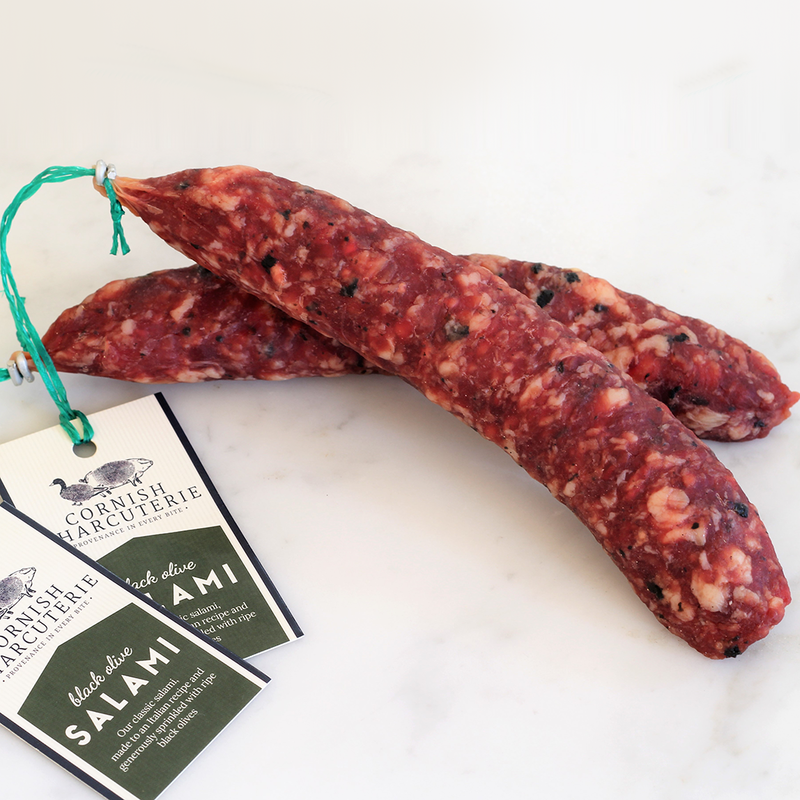 A delicious Mediterranean twist on Cornish Charcuterie's classic traditional salami. Crafted with hand-chopped black olives, which are incorporated following the mincing stage. The visible pieces of black olive add their own unique texture and as well as wonderful flavour. The flavour of the meat is enhanced with carefully sourced herbs and spices, and gently smoked over beech chippings. The sausages are then matured to perfection, from 10 days to 8 weeks depending on size. pork 98%, beef 36%, black olive 1.5%, spices, salt, preservative: E250 sodium nitrate.